Are you on the lookout for the best 6x9 car speakers? You need to look no more than the Polk Audio’s DB691. Boost your vehicle’s audio performance with these versatile and efficient speakers from a revolutionary manufacturer. Polk Audio are known for their cutting-edge speaker designing with modern technologies. All Polk speakers are designed with the best materials that enables them to produce a perfect music quality that you’ve never heard before. The company use the most advanced manufacturing techniques such as laser imaging that enables them to determine the most appropriate designs and materials best suited for modern speaker. DB691 is a pair of 6x9-inch 3-way component coaxial speakers that provides an awesome sound performance. Three-way speakers are so far the best for those who prefers loud music. Although 2-way speakers are loud too, they don’t give the higher frequencies like those produced by likes of DB691 three-way audio speakers. Who are these speakers designed for? The built-in 2-way speakers balances the low and high frequencies for perfect flow of frequencies to the proper drivers, hence efficient audio. A perfect balance of equipment like the Mica cone woofer and silk polymer dome twee﻿te﻿r allows for a smooth response to any volume level. 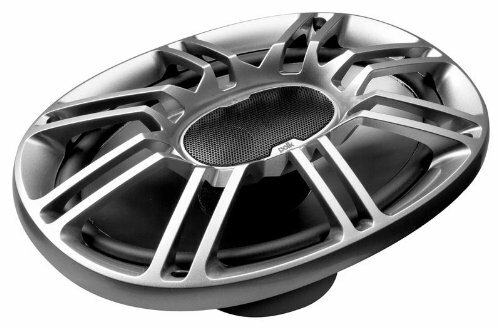 Polk Audio DB691 speakers features stainless steel mounting and rustproof baskets, making them suitable for marine use. Being marine certified, offers a great deal of versatility and the therefore can be used for multiple applications. The stainless steel design allows them to be used in both outdoor and indoor environments without getting rust. One feature that you’ll probably want to hear about any sound product is waterproof. Yes, Pol Audio DB169 are water proof and you need not worry if they are rained on or splashed on by water. However, you should not submerge them into water as this will result into technical damage. This feature allows for easy installation of speakers in most cars and even motorcycles. Multi-hole mounting pattern allows you to come up with multiple ways on how you can mount and install the Polk Audio DB169 speakers on your car, boat, motorcycle. Use the speaker, for right, left or center channel applications and discover the full-spectrum performance featuring a professional impact. The speakers are designed for car sound system installation though they can be used for multiple applications. Install the speakers in a sealed box for the best opportunity for bass production. Are the speakers marine certified? Yes, the Polk’s DB691 meets marine certification standards. They are marine certified and offers a great deal of versatility. The stainless steel design gives them the ability to be used in a wide range of applications. You can install them to your boat sound system. Are they sold in pair or priced individually? DB691 Polk speakers are sold in pairs but priced individually. These speakers are waterproof. However, submerging them in water can cause technical damage. Speakers features multiple wiring components that are not-moisture friendly. The rubber designing o these speakers makes them only waterproof to slight amount of water. Overall, the DB691 three-way speakers system are perfect versatile sound system accessories. The high performance coaxial loudspeaker comes with the latest Polk technology, making them a great choice for any car. If you’re looking for ultimate speakers to revitalize your music, then all you need are these great car sound speakers. Upgrade your car’s sound system today with DB691 6x9 speakers. It doesn’t only offer clear sound but also provides better flexibility when it comes to wiring your sound system. Good music only becomes great when you hear it via Polk’s DB691 speakers with two-built in tweeters and 4-ohm impedance. A combination of great speaker materials enables elimination of any distortion to the sound quality, thanks to Polk’s laser design technology. You can play your music with elegant frequency response and in sharp detail at maximum volumes without any strain.